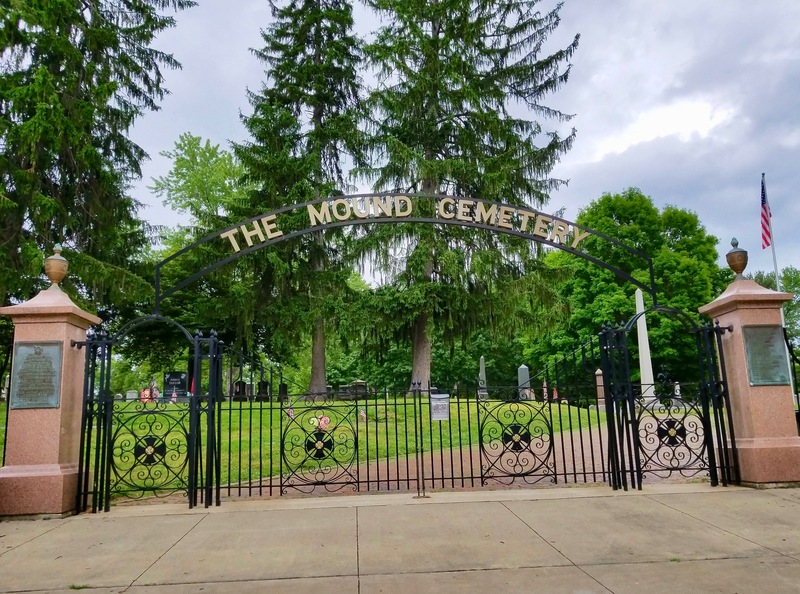 Have you ever visited a town so charming you think to yourself, “Why haven’t I been here before?” That’s exactly what I thought when I visited Marietta, Ohio. 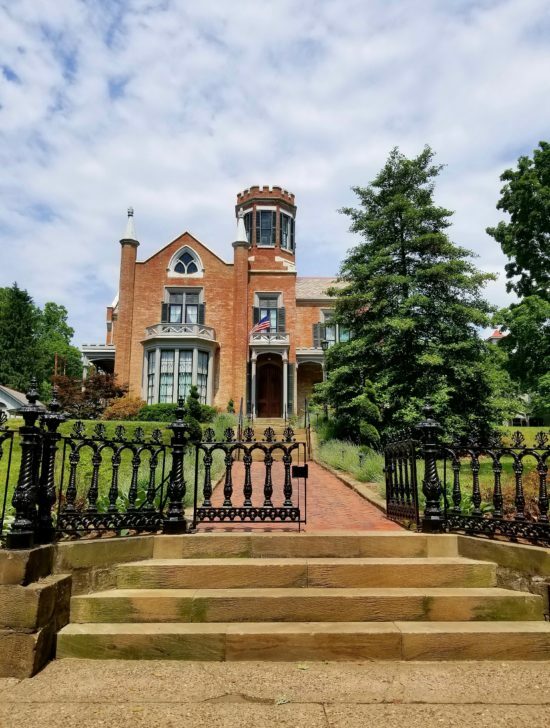 Brick streets, gorgeous restored Victorian buildings and homes, centuries of history, outdoor adventures and welcoming locals whose pride in their community is contagious, makes Marietta one of my favorite towns in Ohio! Here are 5 Reasons you should visit Marietta, Ohio. Sitting at the confluence of two rivers (Muskingum and Ohio) Marietta has been an important river town for centuries. 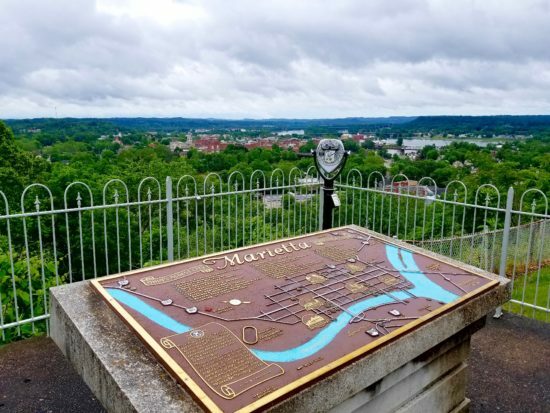 Established in 1788 and the first American settlement in the Northwest Territory, Marietta is Ohio’s oldest city. While settlers may not have arrived until the late 1700’s, Native Americans have been living in the area since the approximately 100 BC. Marietta has taken great pride to preserve its history. Historical gems can be found throughout the town in numerous museums and restored historical homes and buildings. With its location along the two rivers, Marietta became a popular stop for migrants, workers and families. Brothels, saloons, merchants, hospitals and schools have seen thousands of people come and go, but some never leave this river town. Ghosts or spirits have been known to haunt Marietta. Many locals swear to have seen at least one ghost lurking around town or felt some sort of supernatural experience. Marietta’s river location and nearby Wayne National Forest make nature enthusiasts and outdoor adventurers flock to this river town. 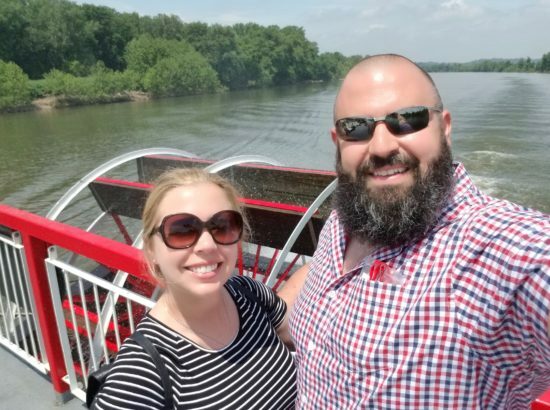 From boating, kayaking and paddle boarding on the rivers, hiking, mountain biking and riding atv’s, Segway tours, taking a ride on a historic Sternwheeler or cruising the winding backroads roads on a motorcycle, outdoor adventures are abundant in Marietta! There’s just something special about Downtown Marietta. 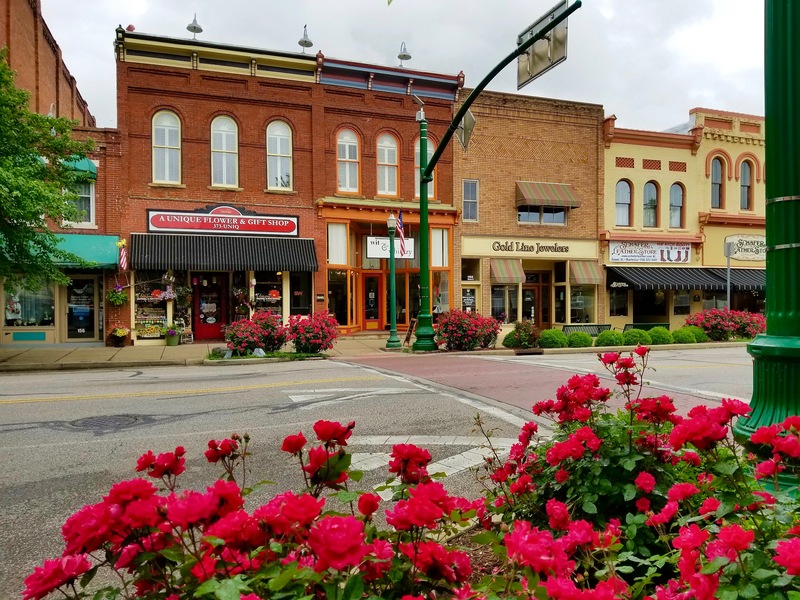 With its charming brick streets, historic Victorian buildings, boutique and specialty shops, restaurants and taverns, I found myself strolling this historic main street community with a permanent smile. It’s nice to visit a town that not only preserves its history, but also has a palpable sense of community spirit. Locals are warm and welcoming, provide visitors with recommendations and directions and almost every conversation led to how much they love this community. A welcoming spirit and community pride will lure you back to explore more of Marietta’s charms! 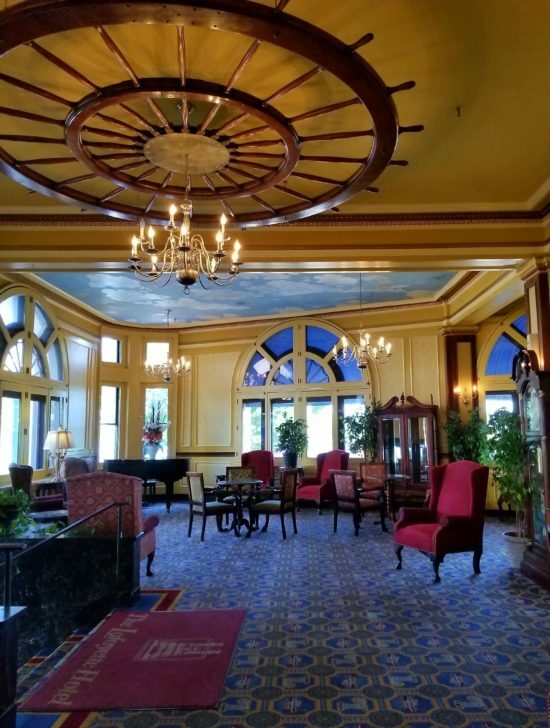 Make the most of your visit by staying in the heart of Downtown Marietta at the historic Lafayette Hotel. Established in 1918, the Lafayette Hotel is one of the last riverboat-era hotels. The Victorian era décor throughout the lobby and guest rooms will transform you back in time! To learn more about Marietta, please visit www.mariettaohio.org. 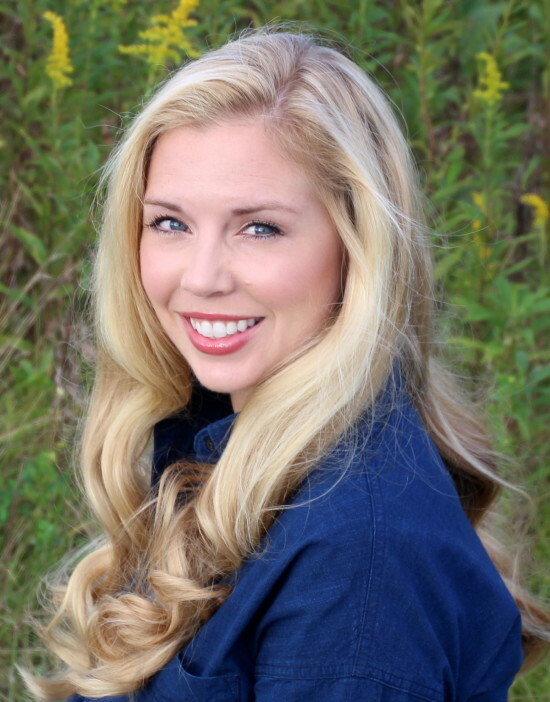 A special thanks to the Marietta-Washington County CVB! I was an invited guest of Marietta-Washington County CVB. As always on Ohio Girl Travels, all opinions are my own.